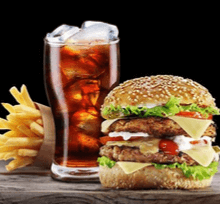 After a decade of macaroni and cheese with fish sticks followed by years of innumerable burgers thrown on the grill, kid-centered meals came to an abrupt halt. Four children—and their numerous can-they-stay-for-dinner-please friends—had quite suddenly left the nest. I had lots of ideas about my hubby’s and my new dinner patterns in our now empty nest. Healthy ideas! Creative ideas! Romantic ideas! Dinners that looked like the pages of Bon Appetit Magazine! I pictured the two of us enjoying meaningful conversation over beautifully-prepared food and glasses of wine. After 3 years of empty nesting, however, my lovely visions never came close to fruition. Taking the time to choose interesting recipes, create a menu, write a shopping list, and get to the grocery store all seemed overwhelming. The closest I got to my empty nest dinner dreams was cheese omelettes and toast. And in the end, it always seemed easier to run out to the diner for those omelettes. And then I heard about meal kits, companies that would take care of all of the tedious details and allow me to shine as the chef of my kitchen. I decided to try 2 companies, HelloFresh and Sun Basket, that promised to deliver recipes and all the required ingredients in one glorious recyclable box to my door. HelloFresh sounded like an excellent option with plenty of vegetarian recipes and reasonable prices. 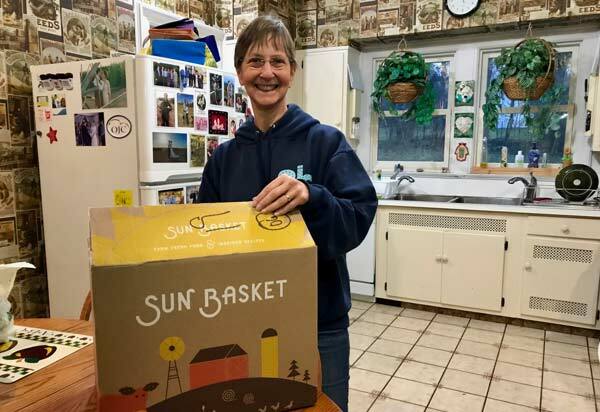 I also liked the sound of Sun Basket with its promise of pre-measured, organic ingredients and directions for creative and healthy meals. This Empty Nester felt her nesting instincts kick into gear at long last. I prepared 2 of the 3 meals I received: Tuscan Vegetable Soup and Mu Shu Lettuce Cups with braised tofu and wood ear mushrooms. The ingredients for each meal were nicely organized inside brown paper bags. I promptly put the bags in the refrigerator and thought about it for a little while. It was hard to get started, but once I was cooking, I felt proud of myself. I was singing in my kitchen. I was on the way to fulfilling my dreams! I wish I could capture the delicious smells of the cooking in my writing. Sun Basket provides no-fail directions. I have always fancied myself as someone who could make a great pot of soup, but I really have only 2 recipes that always come out well. The Tuscan Vegetable Soup I prepared gave me the illusion of being a master chef of soup. 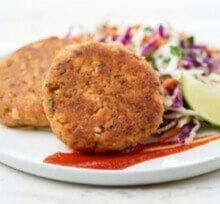 The ingredients were pre-packaged and chopped which made for ease of cooking. Sun Basket wisely leaves just enough preparation work so that the cook feels like she is accomplishing something. I grated the garlic and cut the potatoes lengthwise and then crosswise. Making my own Ciabatta croutons was definitely the most satisfying part of the preparation. The soup was not only delicious but beautiful to look at. It was also a filling and filling meal. I was happily surprised that I had prepared it. My husband was delighted to eat it! He was right. And I am grateful to Sun Basket for allowing me the pleasure of creating such a special meal. Left on my own, I would not have been willing to search for or felt brave enough to purchase dried wood ear mushrooms. They look quite freaky! I’m not certain what exactly Hodo braised tofu is, but I am the chef who cut it into cubes and browned it in a frypan. Sun Basket lists the ingredients in its stir-fry blend and hoison spread, but I would have no way of replicating these. I was happy to leave the worry to Sun Basket. The results legitimately felt like they were mine. All the meals are advertised as dinners for two, but in the 2 meals I prepared, the amount of food was very generous. This is a very good thing since my husband has what can kindly be called a generous appetite! While I enjoyed the preparation, my husband’s enjoyment of the food was even greater. I spent 2 evenings eating Sun Basket meals, listening to him croon, “Oh my God, it’s so good!” Healthy meals - check! Romantic dinners with meaningful conversation... not so much! 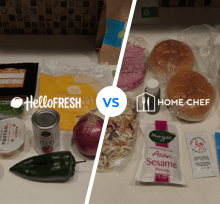 I continued my adventure into the world of meal kits with HelloFresh. While ordering online was simple, I had already placed my order and handed over credit card information before being offered the chance to choose my meals. I was quite surprised to see 3 meals set for delivery and no place on the page to click for choices. A bit of seeking help on the website revealed that HelloFresh offers just 3 vegetarian meal options each week. So for now, my choices were the choices made by HelloFresh. I had already paid and did not see the sense in taking the time to begin all over again with another company. The choices looked fine to me and my box arrived on time as promised. While HelloFresh advertises that it provides the meals in recyclable materials, in the winter, the box comes lined in metallic plastic flex foil that needed to be thrown in the trash. I did not feel great putting this enormous piece of landfill into my trash can. Everything else in the packaging was recyclable but a weekly cardboard box coming to my porch is something to which I would need to accustom myself. Or maybe not… I am the choose-less-packaging and bring-reusable-bags to the grocery store kind of shopper. With HelloFresh, I created an Italian Tomato and Chickpea Soup served with ciabatta garlic bread. The ingredients were fresh but not organic. The recipe was easy to follow and included steps that allowed me to feel like the chef. I especially liked the vegetable chopping and the garlic mincing. In the end, the soup tasted fine but was not a filling dinner for my husband. He was very hungry when he finished more than his half of the soup and both pieces of the garlic ciabatta bread. I pulled out my fry pan and made him… yes, you guessed it… an omelet! The second dinner I made was Mediterranean Baked Veggies. It was simple to make. I especially liked roasting the vegetables which looked beautiful in the oven. The tomatoes burst just as promised in the recipe. I felt like a gourmet chef! This meal was more filling than the soup, but I was concerned about the lack of serious protein with only some almonds and feta cheese playing their part. As I thought about the HelloFresh meals I had created and the third meal waiting for my clearly amazing cooking skills, I realized that each meal was heavy on cheese and light on protein. I looked ahead to the next week of HelloFresh meals and found the same to be true. Without choice and without protein alternatives for this vegetarian household, I decided to cancel the HelloFresh subscription. Will I Become a Meal Kit Chef? For now, I am taking a break because the pressure of cooking 3 meals within 1 week does not work well for my hubby and me. He works lots of nights and I am not motivated to cook meals for 2 for just myself. I was less stressed about finding time to do the cooking than I was about finding time to do the eating! 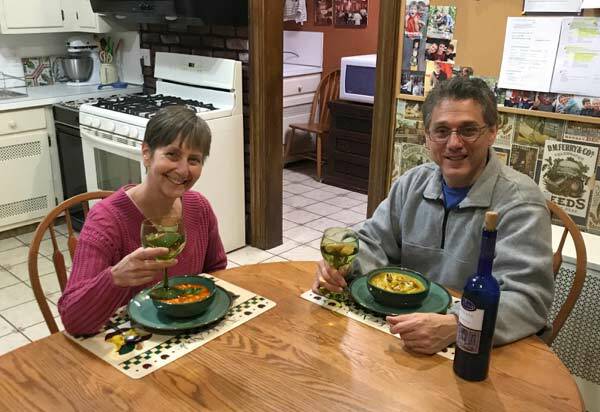 Meal kits might work well for this nesting empty nester when I am a retired empty nester… but that, thankfully, is another 10 years down the road. I’ll report back then! Paula Mack is a writer, poet and yoga instructor. Now that she’s an empty nester, she is “patiently” waiting to become a grandmother.